OK, yes, Wesleigh is getting a little big to “baby wear” but she did say “Weeee” the first time I tried on this amazing baby-wearing coat from B&ME! I think she likes it! My only regret is not getting this coat sooner. 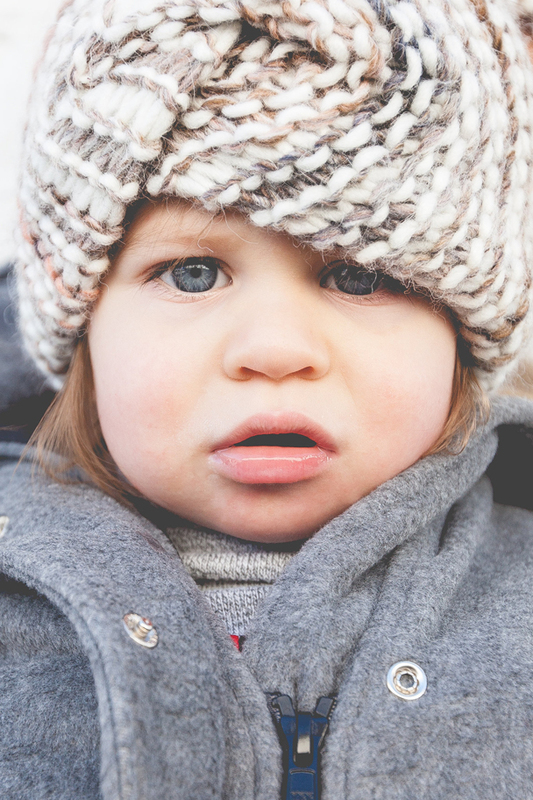 It’s SO perfect for little ones on cold New England days. 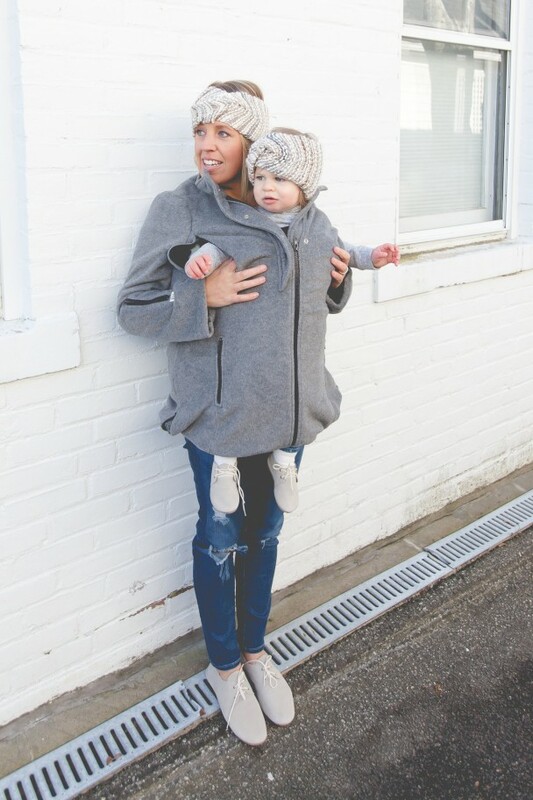 If you are trying to look stylish this winter and baby wear, you should most definitely check out this coat by B&Me. You can wear it while pregnant, with baby, and without baby. Definitely one of my favorite finds! 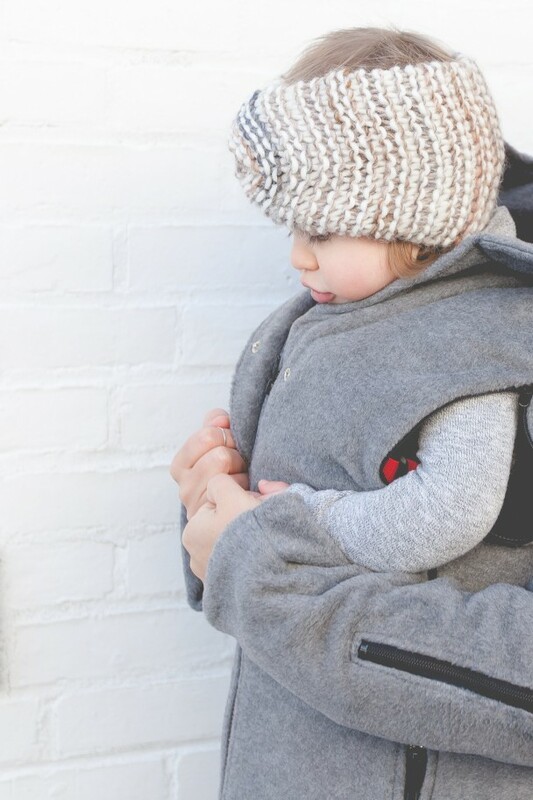 Baby wearing is one of the most amazing things you can do with, and for, your new (or older) baby. When I was pregnant with Luke I did a ton of research on which carriers to buy, and SO much had changed by the time Wesleigh was born. There are different carriers that I think work for different age groups. Here are my favorites below. 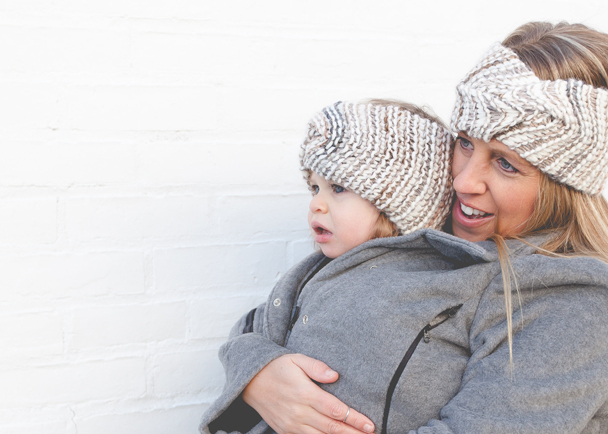 For Newborns: For newborn babies I love the Solly Baby wrap. It’s perfect for breast feeding too. For Babies 6+ Months: The Ergo is a carrier I still use for Wesleigh. 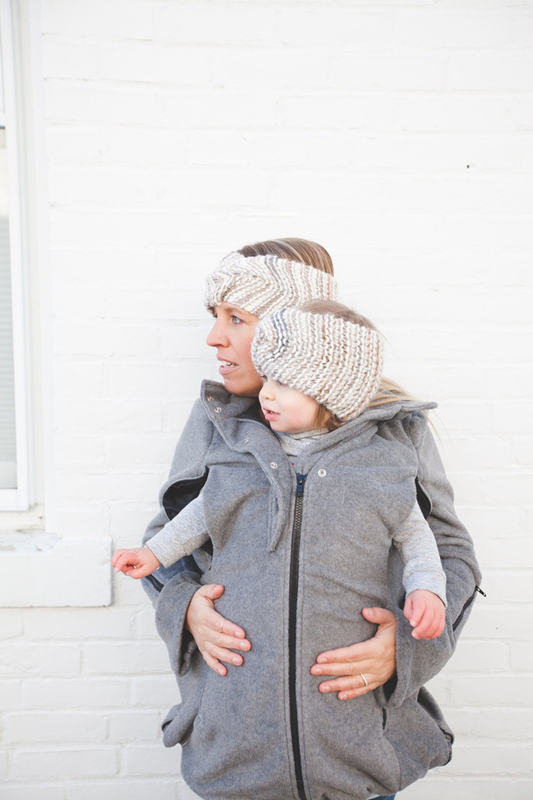 She is 24 lbs and I can still wear her in the front without hurting my neck or back. For Toddlers: The Osprey baby pack is perfect for toddlers and babies who are 8 months and up. The perfect hiking pack!